From the theories of International Relations to the practice of global politics. To grasp the rule of the global political game and be ready to play it. The course examines the major theories of International Relations, the key sub-fields of international politics, and the current practices of global politics. In the first part, the theories of realism, liberalism, marxism, and constructivism are studied. In the second part, the key concepts in foreign policy analysis, internetional political economy, and security studies are presented. In the final part, the course disentagles the context of globalization, the institutional framework of global governance, and the current reality of global politics with its risks and opportunities. The classes will be integrated with internet hang-outs centered on current events, as well as different kinds of exercises and tests. By the end of the course, the student will be able to understand critically international affairs, to analyse major international events, to interpret the position of key international players, and in the ultimate analsysis to play actively the global political game. Basic knowledge of international history and current affairs. How to explain international phenomena? 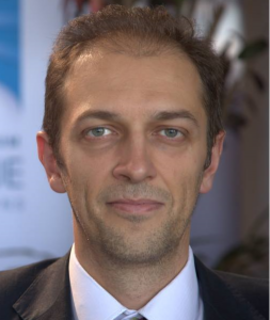 Raffaele Marchetti (Laurea, Rome-La Sapienza; PhD, London-LSE) is assistant professor (national qualification as associate professor) in International Relations at the Department of Political Science and the School of Government of LUISS where he holds a Jean Monnet European Module on EU’s Engagement with Civil Society. His research interest concerns global politics and governance, transnational civil society, political risk, and democracy. He acts also as external evaluator for a number of public institutions and private companies at the national and international level on issues of civil society, peacebuilding, and governance.